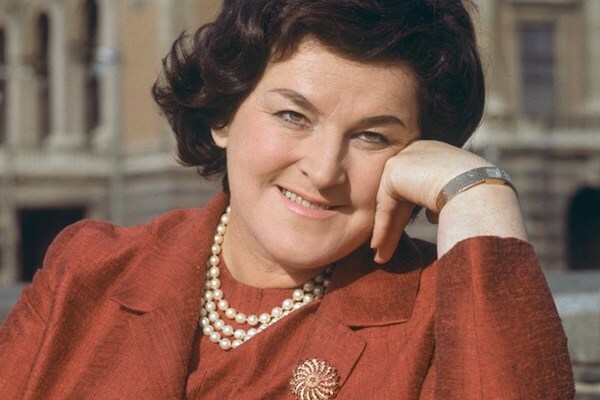 Artist "Birgit Nilsson, Fritz Uhl, Tom Krause, Arnold van Mill, Wiener Philharmoniker & Sir Georg Solti"
was born into a farming family. She recalled that she could sing before she could walk, adding ‘I even sang in my dreams.’ When she was five she sang at a school Christmas concert, accompanying herself on the organ, while her mother lay on the floor to work the pedals that her daughter could not reach. Her father however wanted Nilsson to take over the family farm, and so did not support her in pursuing a singing career. Nonetheless, with her mother’s encouragement, she first studied with Ragnar Blennow in Båstad. Eventually her father relented and when Nilsson was nineteen she entered Stockholm’s Royal Academy of Music, where she was a pupil of Joseph Hislop and Arne Sunnegårdh. During her first year she survived on a small legacy her mother had inherited, but from then on was forced to support her studies by singing at weddings and funerals and taking small roles in films. She attributed her success to native talent rather than to formal instruction: ‘My first voice teacher almost killed me… The second was almost as bad,’ she later commented. In 1946 Nilsson made her operatic stage debut at the Royal Opera in Stcokholm, substituting for a sick colleague as Agathe / Der Freischütz; and the following year she attracted national attention as Lady Macbeth / Macbeth with Fritz Busch conducting. At the Stockholm Royal Opera she built up a solid repertoire, sung in Swedish, that included the title roles in Aida and Tosca, Donna Anna / Don Giovanni, Lisa / The Queen of Spades, Venus / Tannhäuser, Sieglinde / Die Walküre, Senta / Der fliegende Holländer and the Marschallin / Der Rosenkavalier. This last was one of Nilsson’s favourite roles, one which, as she later lamented, nobody ever asked her to sing. Busch strongly supported her: he cast her as Electra / Idomeneo at the Glyndebourne Festival in 1951, the same year in which she sang Donna Anna at the Maggio Musicale, Florence. Nilsson’s course was now set as she developed rapidly into one of the most outstanding dramatic sopranos of the century. In 1953 she sang both Isolde / Tristan und Isolde and Elisabeth / Tannhäuser in Stockholm and the following year made her debut at the Vienna State Opera. Here she sang frequently over the next twenty-five years, her roles including Elsa, Sieglinde, Elisabeth, Aida, Senta, Amelia / Un ballo in maschera, and, from 1975, the Dyer’s Wife / Die Frau ohne Schatten. Also in 1954 she appeared for the first time at the Bayreuth Festival as Elsa / Lohengrin and Ortlinde / Die Walküre; she returned frequently, singing principally Isolde and Brünnhilde / Der Ring des Nibelungen (1954, 1957–1958, 1962–1964, 1966, 1968–1970) and (1960–1962, 1965–1967) respectively. During the 1954–1955 season she also sang Brünnhilde in her first complete Ring cycle at Munich, where she also enjoyed great success as Richard Strauss’s Salome. It was as Brünnhilde, in a Ring cycle conducted by Rudolf Kempe, that Nilsson made her debut at the Royal Opera House, London, 1957. She was to sing there often as a close colleague of Georg Solti, Covent Garden’s Music Director from 1961 to 1971; her roles included Brünnhilde, Isolde, Amelia, Leonore / Fidelio and the title parts in Elektra and Turandot. During 1957 Nilsson had sung Leonore / Fidelio at Rome; and at the end of 1958 she became one of the few non-Italian singers ever to be invited to open the season at La Scala, Milan, which she did with a historic performance of Turandot, a night she later described as the greatest of her professional career. It was with this role also that she made a notable debut at the Verona Arena in 1969. She made her first North American appearance in 1956, singing at San Francisco (Brünnhilde / Die Walküre), Los Angeles and Chicago. 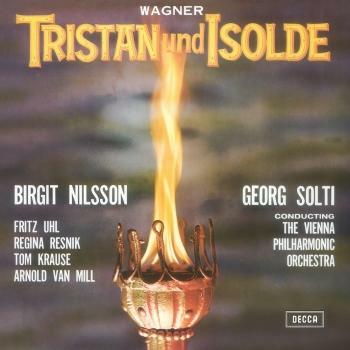 Nilsson’s Metropolitan Opera debut as Isolde followed in 1959 (the year in which she ceased to be a member of the Royal Stockholm Opera) and won a tumultuous reception. ‘A great star is flashing in the operatic heavens,’ proclaimed the New York Times. She sang at the Met regularly between 1959–1975 and 1979–1982, in over 200 performances of sixteen roles, representing the full span of her repertoire, both German and Italian. Song recital tours of Australia (1973) and Europe and Asia (1978) preceded Nilsson’s formal retirement from the operatic stage. This occurred in 1982, but she continued to make occasional gala appearances.